Bifold doors are designed to operate optimally within a very tight tolerance, making it vital that they are installed perfectly level, plumb, and square. However, the reality is that in the world of construction, perfection is rarely achievable. So when things are slightly out of level or alignment, what adjustments can be made to ensure that the Bifolds work as they are supposed to? Most installers (and end users for that matter) know that the most likely cause of a locking issue is incorrect glass packing, more commonly known as ‘toe and heeling’, where the door appears to “droop” at the lock side under the weight of the glass and the non-fixed door. Putting this particular ‘toe and heeling’ issue aside for a moment, there’s another common issue to address. When closing the master door, the lock can appear to be too close to the receiver or the outer frame, resulting in an undesirable metal on metal clanging sound! 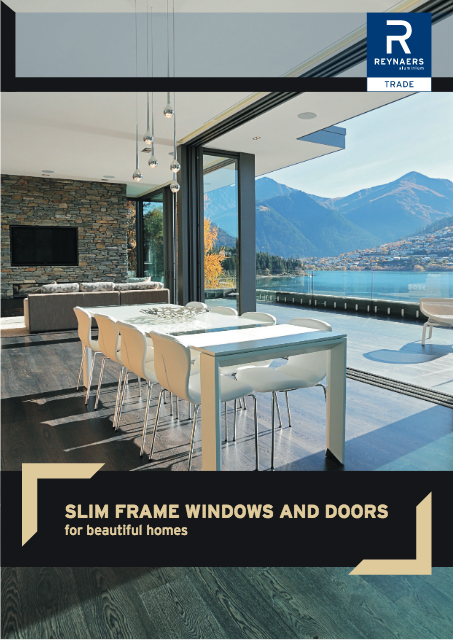 Individual Bifold door systems have defined measurements around the spaces of each moving door and the fixed outer frame. 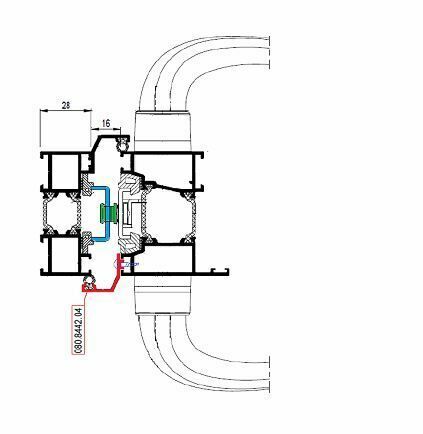 These spaces are created so that the locks, hinges, rollers, guides, and rubbers etc can function in the desired manner to give the Bifold its individual characteristics. Most of these spaces are defined to the exact millimetre and, as such, are non-adjustable – for example a hinge that connects a moving door to outer frame. There are, however, circumstances when you might require some kind of lateral adjustment. Why might a Bifold Door may clash when locking? During the manufacturing process, there can be as many as 7 individual door panels being joined to make a single Bifold Door. If the saw is out by just 0.5mm, that can amount to a 3.5mm difference and an issue that needs to be solved! 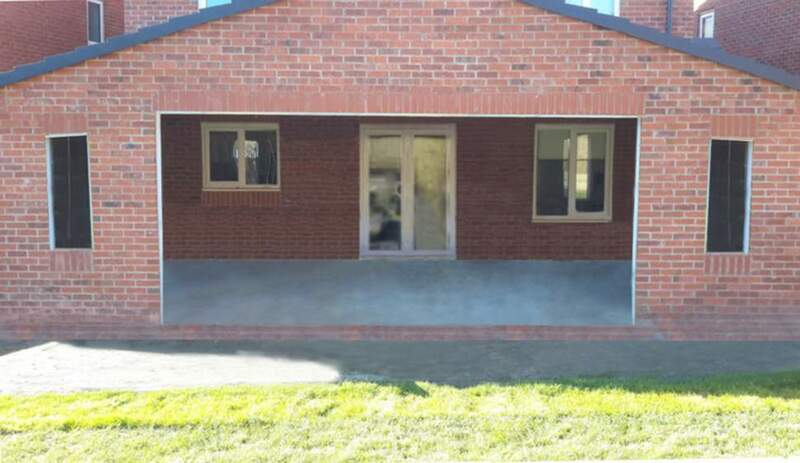 It’s not unknown for the brickwork to be slightly out of square, meaning that the Bifold outer frame won’t have enough space to be properly squared up. This creates a squeezed effect on the individual panels which, in turn, expands the whole train of doors. A rapid increase in temperature can cause the unfixed aluminium profiles to expand. If the outer frame jamb is incorrectly packed, it can bow away from the substrate and, in turn, squeeze the moving door panels. But there is a solution. The designers of the Reynaers CF68 Bifolding Door recognized this problem and created a very clever Jamb Adjuster that allows +/- 5mm of movement! Most doors have a rebate profile that hides the lock (see cross section detail below). This should be removed so that the gap can be checked. Once this rebate profile has been removed, you’ll be able to see where the lock and the receiver are clashing. If the lock and receiver are clashing, simply open the train of doors so they are stacked to one side, exposing the access holes on the jamb expansion profile. It’s worth noting that there may be fixing screws setting the jamb expansion profile in position, so you’ll need to remove these before inserting the 5mm Allen key. Next, using a 5mm Allen key (preferably a T handle type for a better grip), you’ll be able to easily move the entire train of doors by turning clockwise or anticlockwise, gradually moving each of the 6 positions in turn until you achieve the correct 16mm gap between the lock and the receiver. 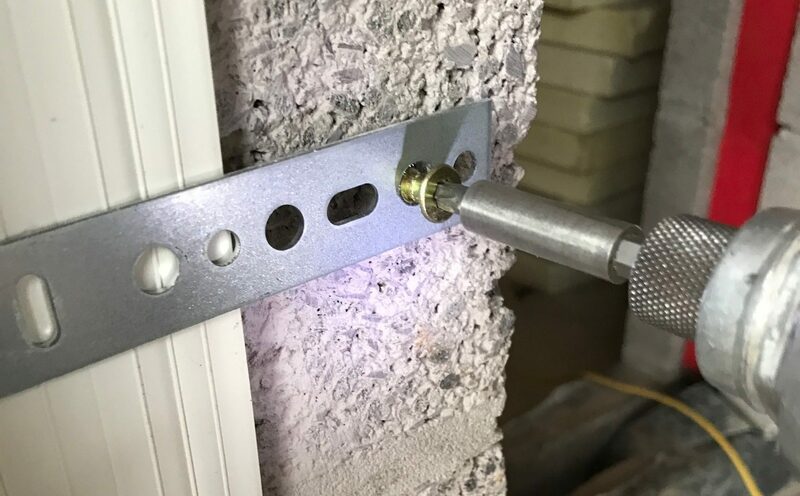 Once you’ve achieved the correct gap between the leading edge of the locking door and the next door or outer frame, as shown below, the door will lock perfectly. The rebate piece can then be fixed back on to the master door panel. Finally, open up the full train of doors and re-fix through the holes, as shown below, in order to secure the new profile position. We hope you’ve found this post useful. If your particular Bifold Door System has lateral adjustment points built-in, please let us know. We always appreciate your feedback and welcome any comments you may have! Strap or Through Fix – How do you fit your BiFold Doors? Document Q – What does it mean for Bifolds? What could help you sell more Aluminium Bi-Folds & Windows? Luxal is the UK’s leading trade-only supplier of luxury aluminium windows and doors. Strap or Through Fix – How do you fit your BiFold Doors? What could help you sell more Aluminium Bi-Folds & Windows?